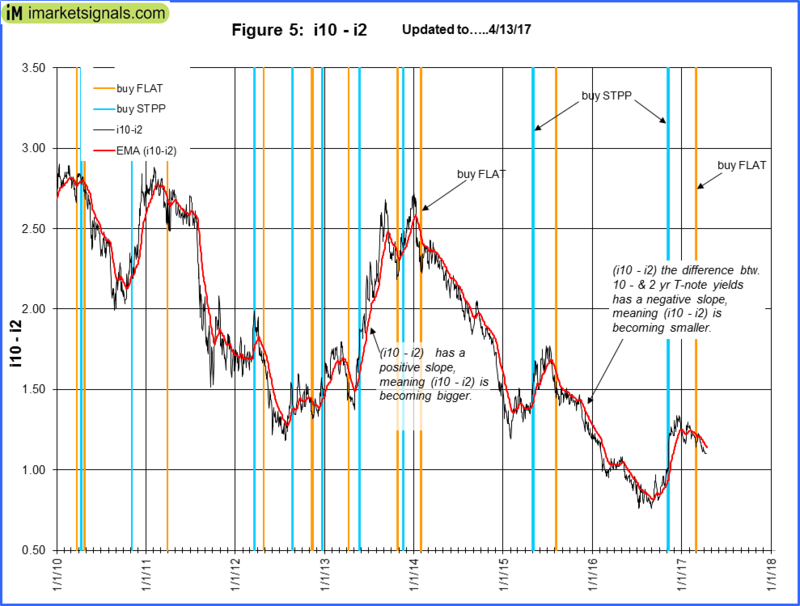 The yield curve model indicates the trend of the 10-year and 2-year Treasuries yield spread. Figure 5 charts (i10 – i2) showing that a downward trend is again emerging. 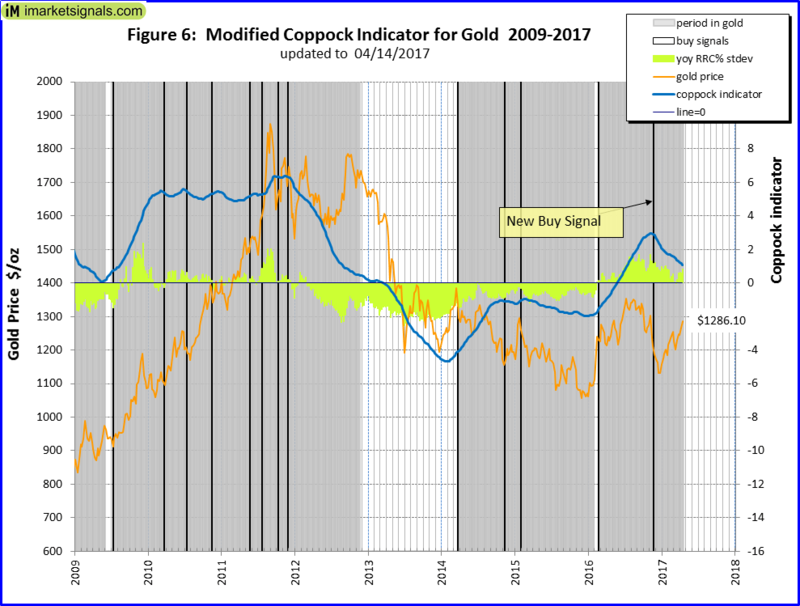 A buy FLAT signal was generated on 2/8/2017. 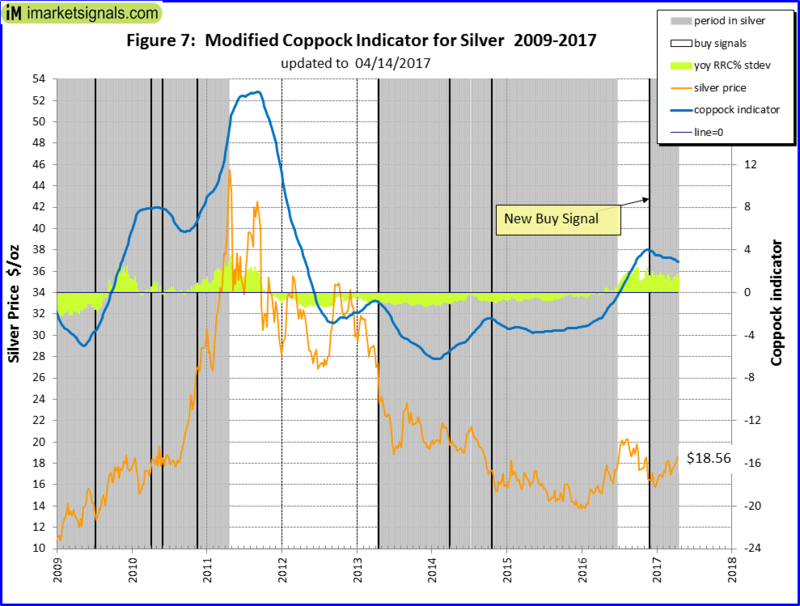 FLAT and STPP are ETNs; STPP profits from a steepening yield curve and FLAT increases in value when the yield curve flattens. 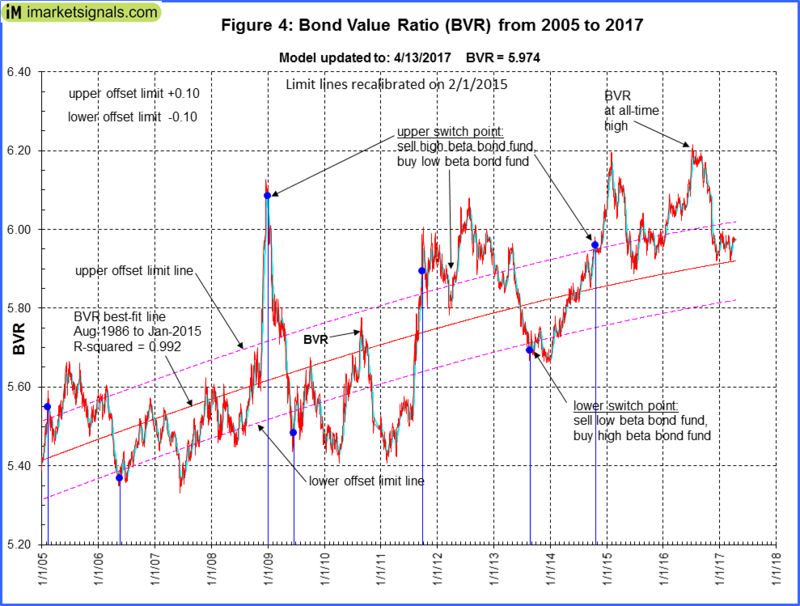 This model confirms the direction of the BVR. 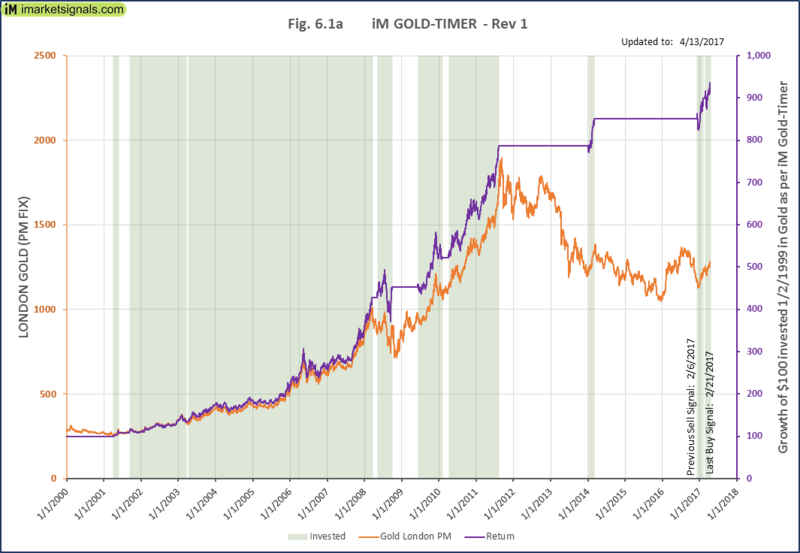 The iM GOLD-TIMER Rev-1 generated a buy signal end February, the model invests in gold.